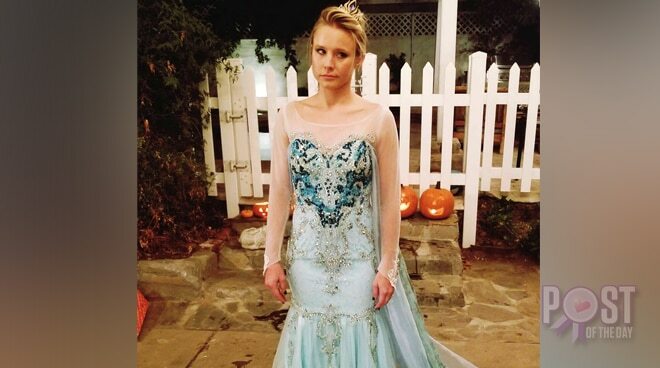 Hollywood actress Kristen Bell cracked her followers up online when she posted a photo of her wearing a Princess Elsa costume for Halloween. Kristen did the voice of Princess Anna, Elsa’s sister in the Disney animated movie Frozen in 2013. “When your daughter demands you BOTH be ELSA for Halloween…” the actress posted on Instagram. Kristen recently appeared on Jimmy Kimmel Live! and performed a mash-up of “Do You Want to Build a Snowman” and Metallica’s “Enter Sand Man” with Foo Fighters’ Dave Grohl.